With the release of the second edition of the Design Thinking for Educators Toolkit, Ideo have made the implementation of design thinking even easier. Design Minds reviews the updated toolkit and its benefit to educators. As Ideo state in the new Design Thinking for Educators Toolkit,“As educator’s you are already designing every single day.”Whether it is in the design of curriculum, the physical classroom environment, the tools and methods of education or the education system itself, teachers are constantly enacting principles of design to better enable students in the classroom. Designer’s workbook: A practical set of tasks and questions to utilise as a means to guide the design thinking process. 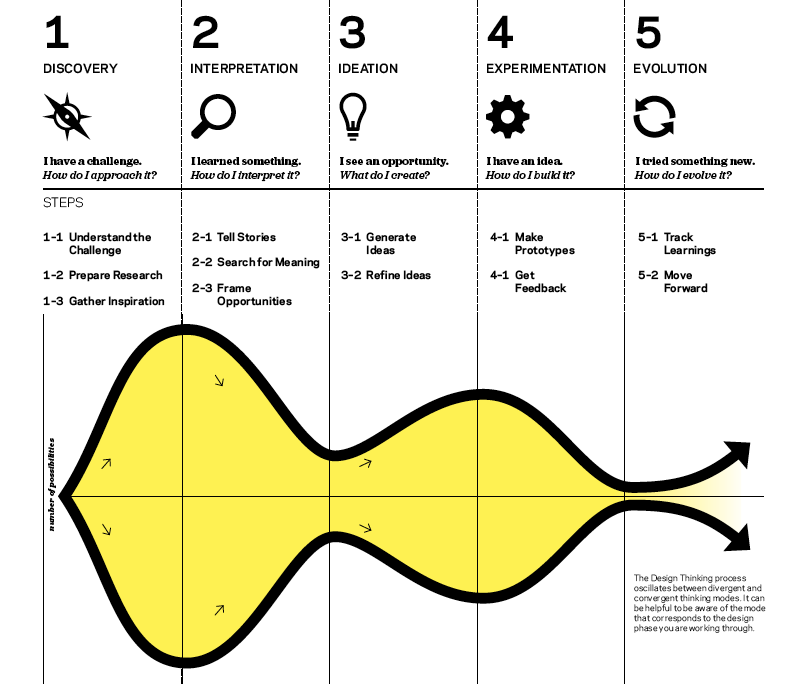 More examples of design thinking in action: While the first toolkit did include examples, these examples have been expanded upon to give a broader context of the application of design thinking. Updated methods of Design Thinking: Using feedback provided on the first edition, the design thinking methods have been altered to be made clearer and more valuable to teachers when applying design thinking processes. For those unfamiliar with the first edition, the new toolkit has maintained the guiding information that made the first toolkit successful. It clearly and concisely outlines what design thinking is, why it is important and how it can be applied. 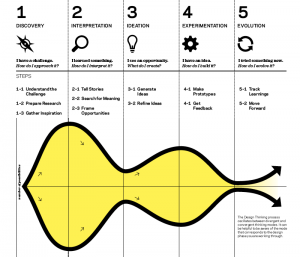 Most useful is its unpacking of the phases of the design thinking process—discovery, interpretation, ideation and evolution. Using detailed imagery, clear and simple layout and specified steps, the toolkit makes clear how to engage design thinking and how it positively impacts the outcome. However, this is not to suggest that design thinking is a universal process—it is not. Rather, the toolkit provides a framework for design thinking that teachers and educators can adapt for specific needs or context. Whether you are an educator that is unfamiliar with design thinking and its application or a teacher already familiar with it, the Design Thinking toolkit for educators is a great resource for enhancing the application of design thinking in your workplace. For more information or to download the toolkit, visit www.designthinkingforeducators.com.